Ghouls are eerie and all, but the real fright is how much food our world is funneling directly from farm to landfill. In case you haven’t heard, Americans throw out 40% of their groceries. Tossing all those tubs of unopened yogurt and half-eaten cereal boxes is often due to misperception of expiration dates, meaning the majority of tossed waste is actually fine to eat. More haunting? The typical family of four will squander around $2,200 per year in unconsumed goods. Around Halloween, those numbers are even scarier. Combine the average 30% of municipal solid waste originating in packaging with an estimated $2.7 billion we’re going to spend on Halloween candy alone — and suddenly those “fun-size” wrappers seem anything but. Spooked yet? Can’t say we blame you. But your Halloween doesn’t have to be one littered with wasted moolah and Mars bars. With a bit of gourd old-fashion organizing and prep, you can still enjoy all the skele-fun, waste-free. These four tips from MakeSpace (an affordable, full-service alternative to self-storage in NYC, LA, DC, and Chicago), will show you how to slay your carbon footprint this holiday. Nothing says Halloween quite like a bright, friendly pumpkin. 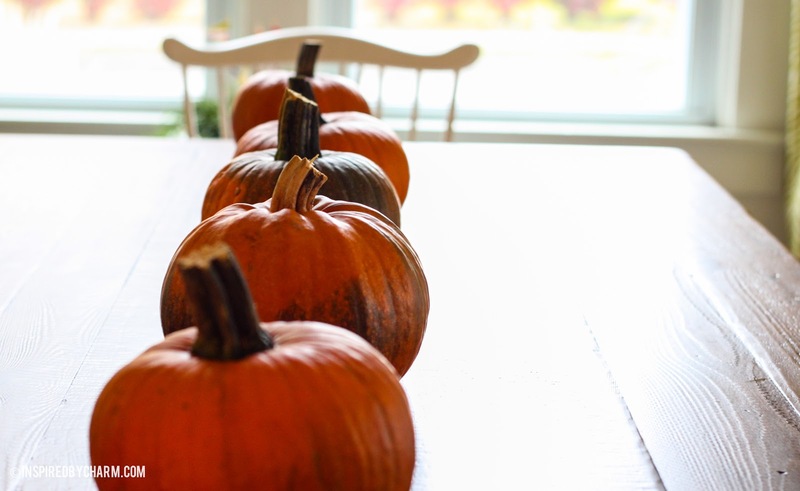 In fact, nearly 2 billion pounds of the nutrient-rich pumpkin are grown every season in the US, ripe for the cooking. Unfortunately, the majority are thrown in the garbage right after being carved, scooped, and lit as jack-o’-lanterns. On top of that, all those once-used pumpkins have a hard time breaking down organically in landfills. To reduce contributing to greenhouse gases, consider skipping the carving process altogether. Instead, Reader’s Digest lists 10 easy, unexpected ways to decorate with pumpkins — without having to carve it. Paint it (though not if you want to eat it after! ), dazzle it with some Washi tape, or even crown it with succulents. And when you are ready to dig in? Alton Brown has a foolproof pumpkin puree recipe that can be frozen for up to three months, making it the perfect base for your Thanksgiving pie. Or use that simmering pot of goodness right away to whip up a PSL that’s anything but basic. Determined to have your jack-o-lantern and eat it, too? For your four-legged neighbors, any pumpkin-gutted remnants are a sweet treat. The National Wildlife Fund has ideas for bird feeder “snack-o-lanterns,” and also suggests leaving bite-sized chunks outside for critters to find. Even if you’re a city slicker with minimal bushy-tailed neighbors, you can still get in on the fun. Donate your squashed squash bits to a petting zoo, or a nearby farm. There’s also the option of composting, even if you live in a tiny pad— here’s how. Urban dwellers can also decorate their apartments by leaving a pumpkin on the front stoop or windowsill for big cheer in a small space. 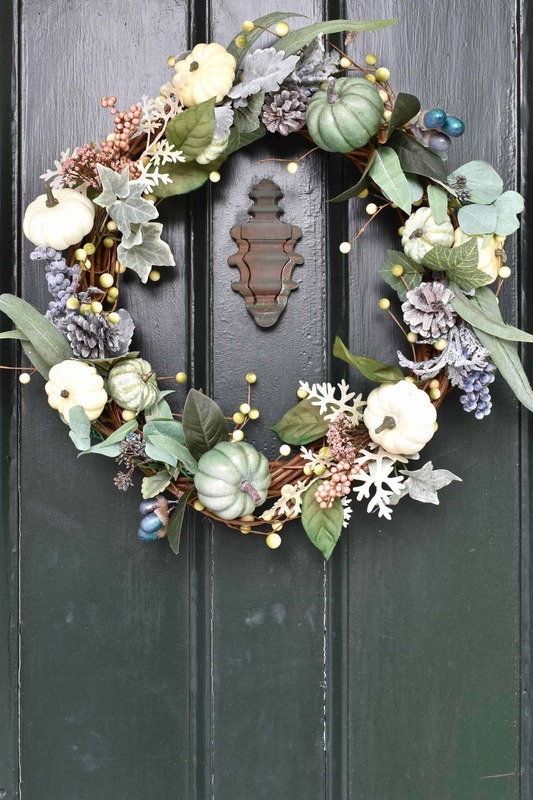 The not-so-sweet side to the door-to-door tradition? You guessed it: the accumulated waste. One study found 61% of parents don’t let their children finish all their candy. Anyone who’s ever dealt with a sugar-crazed toddler can hardly blame them, of course. Unfortunately, that leaves 39% of chocolates and chews to go straight to landfills. Not to mention, the majority of all that candy — eaten, traded, or simply tossed — comes wrapped individually in multi-material packaging that can’t be recycled the traditional way. There’s plenty of candy that’s kind to the earth. Think Hershey’s kisses with their recyclable aluminum foil, or goodies in cardboard boxes, like Milk Duds or raisins. Some companies, like YumEarth, consistently strive for sustainable packaging. Now if the thought of food waste is really worrying you, consider offering more than just candy to trick-or-treaters. Wellness Mama has a great list of Halloween candy alternatives, ranging from delicious apple cider packets to colorful carabiners. For budding artists and writers, why not give out TreeSmart® pencils made from recycled newspapers? You can arrange a system by the front door that allows children the option to choose. Pop different treats into clear, multiple containers (like this Anchor Hocking penny jar). Don’t forget to include the option of fresh produce, too. While it’s tempting to overbuy (no one wants to be that house who ran out of treats), use Apartment Therapy’s formula to calculate how many treats you should buy. If you still end up with too much candy on your hands, make room in your freezer. Here’s how to organize a drawer freezer. Then add the leftover goods to milkshakes, sundaes, and other sweet treats in the months to come. You can also donate any extra candy. Operation Gratitude ships favorites to soldiers overseas. 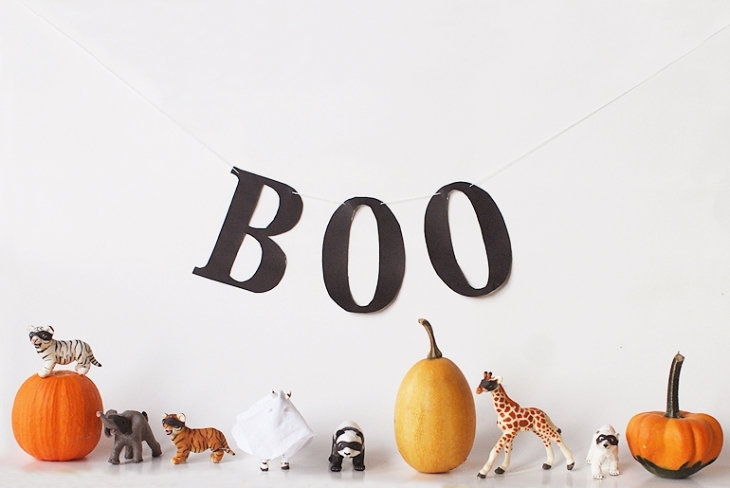 Worried that hosting a Halloween party is impossible with your eco-intentions? Turns out, there are tons of simple swaps you can make that will go a long way in reducing your environmental impact. Forgo disposable cutlery in favor of reusable utensils, like recycled drinking glasses from Wine Punts. Zero Waste Home shows us how to set up a serving station at your party that’s 100% sustainable. For any food you’re serving, Onya Life recommends investing in local produce, which you can keep fresh for up to two weeks before or after the shindig in your Swag. And remember, one bad spot does not a rotten tomato make. Keep other types of leftovers appetizing in the fridge by storing the food in reusable containers covered with reusable, leakproof silicone lids. Even your decorations can contribute to reducing food waste. In lieu of scattered jack-o’-lanterns and candy bowls, opt for reusable hanging decor like these sweet seed packets. When you hand out the seed packets to guests as party favors, you’re planting the seeds for a greener tomorrow.